If you still have a few things to tick off on your horse-riding bucket list, then this is the one. 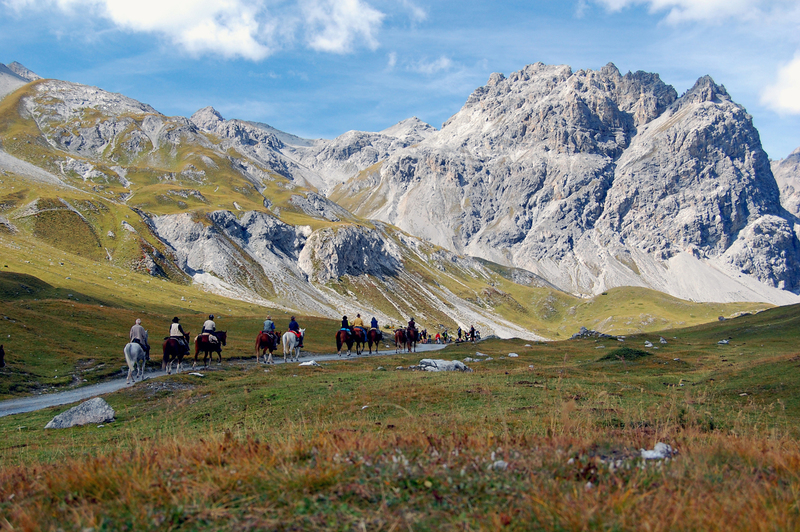 Join us for the most beautiful horse trek in the Swiss mountains and venture into Italy on horseback. Criss cross the Swiss-Italian border and ride through beautiful Swiss mountain valleys and climb up mountains until the peaks are so close you feel you can touch them from the back of your horse. It’s spring time in the Swiss mountains and you will just see the green alpine pastures and nature explode with so many different types of flowers and colours, you will believe it’s a dream. You will be riding with the locals who know this area well and you will feel their love for this alpine land throughout the ride. You will be staying in accommodation and passing through areas which are very, very far away from any beaten path of tourism and travel. And then, there is the marvelous Swiss food. But the best of it all are the horses! They are Swiss Freiberger horses, a Swiss breed, well known for its versatility and being sure footed on challenging terrain. There is no better way to experience it all than on horseback and to feel how the beautiful scenery, the colours, the people and the food all blend together to make this an experience of a lifetime. Arrive in the late afternoon: Meet your Equine Companion. prepare for the trek, have dinner and get to know your fellow riders. Our first stop today is in the beautiful S-charl where you are so close to the towering mountains, you will feel like you can touch the peaks without getting off your horse. We will pass by the highest pine forest in Europe and through the most beautiful alpine meadows your horse will carry you up to one of the higher Swiss mountain passes, up to an altitude of 2393m. You have arrived at Ofenpass. 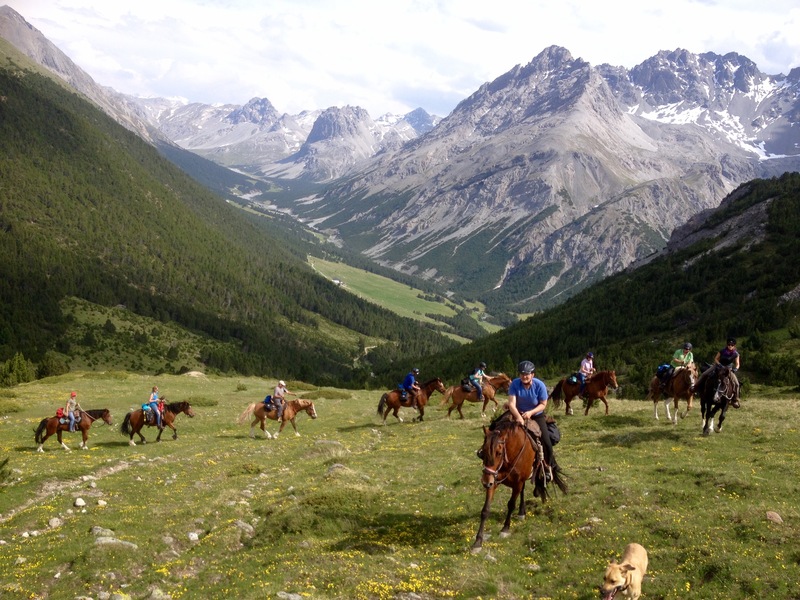 The horses will spend the night on an alpine meadow and you will stay at hotel Süsom Givè. We will follow the trail to the high plains of Jufplaun (2332m), followed by a descent to the beautiful Alp Mora. This is the path taken by the smugglers in the old days. We will arrive in Italy and you will love the two beautiful lakes Lago di S.Giacomo und Lago di Cancano. We will bed down for the night at Villa Valania. 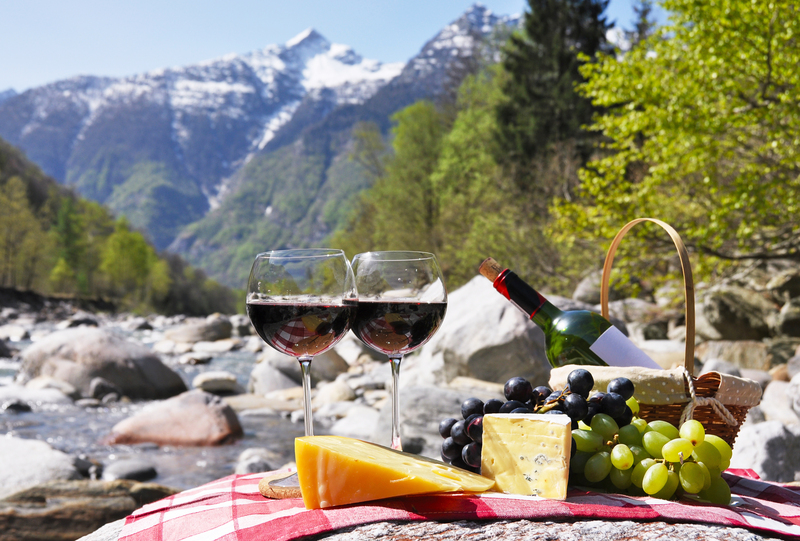 However, before we do that, have a glass of vino rosso, enjoy the food and just admire the views. It will be hard to say goodby to Villa Valania located in such a beautiful spot at the entrance of Valn Cancano, close to the historic towers called Torri die Fraele. It borders a small alpine lake close to the Italian village of Bormio. You will stay in Italy for the day and enjoy a beautiful ride through alpine forests and alpine meadows. We will arrive at our beautiful farmstay Caricc (www.argriturismocaricc.com), sitting on one of the most beautiful green alpine meadow, surrounded by clearwater streams in the valley of Val Viola. Why would you ever want to leave this place? Well the reason is that the horses and another one of these mountains will be calling you. This time it is Pass Viola at 2455m altitude. Once you and your equine companion and fellow riders have mastered the climb, you will be rewarded with a beautiful view at the entrance to the valley of „Val di Campo, a beautiful and very unique natural deserve. Once you mastered another climb up to Bernina Pass, the beautiful lake of Lago Biano will come into view. Ride along the lake and into a fir tree forest. The view will open up and you will see the Morteratsch Glacier. Take in the spectacular view! After all, there are not too many glaciers left to see! 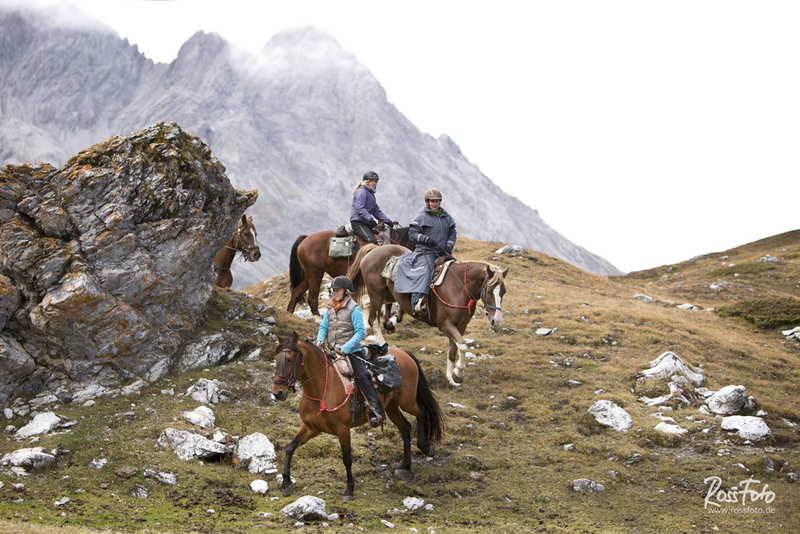 The Valley of Roseg is so nice that we will take it easy today and just explore the beautiful valley on horseback. Enjoy the solitude, the calm and the beauty of nature. Follow a beautiful path to the beautiful village of Pontresina and then let your horse fall into a fast trot or leisurely canter. You will arrive at Madulain where you will stay with the locals and enjoy a barbecue Swiss Style. We will cover quite a bit of ground and distrance today. We will follow the river and soon the path along the invites us to trot and also get into some canters along the way until we arrive in Zernez. This is a popular place for hikers exploring the Swiss National Park which is famous for its flora and fauna. This time of the year, chances are that you will already be able to sample some of the local game. Sample some venison and don’t miss to order all of the trimmings that go with it – like Spaetzle, Red Cabbage and don’t forget the chestnuts to go with it. 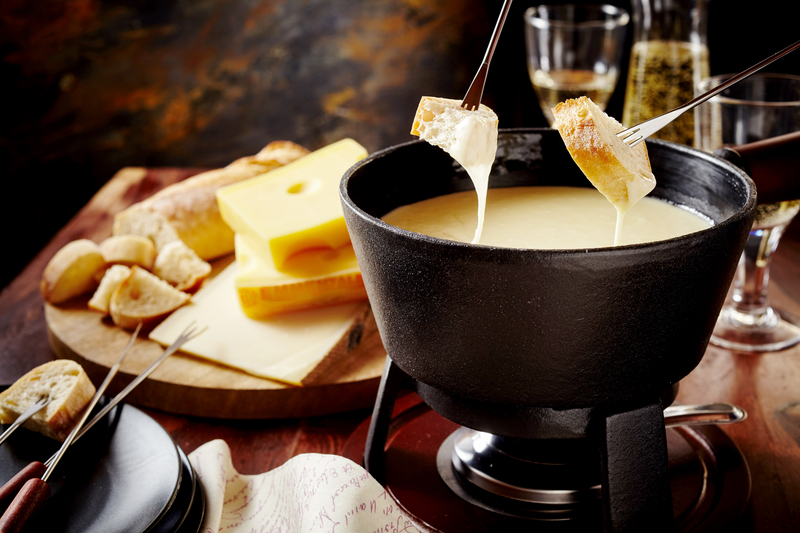 Alternatively, for cheese lovers there is always the fondue! Don’t miss it! On our way back we will stop in Guarda and allow some time to explore this beautiful village. Guarda in the Lower Engadine is one of the most picturesque Swiss villages and is a designated Swiss heritage site. The village is located at 1653 meters in the Lower Engadine on a south-facing sunny mountain terrace. The houses of the Engadine villages have beautifully painted facades from the first half of the 17th century. This is the home of ‘Schellenursli’ – the story of a courageous young boy in the Swiss mountains. A beautiful story every Swiss child grew up with and you can be sure that your fellow riding companions will share it with you on the ride back to San Jon. Follow the river Inn, take in the beautiful valley views and take the opportunity to trot and canter at your leisure. As the trail starts to wind itself upwards again, enjoy the view of the Castle of Tarasp and having conquered all these mountains you might as well feel like one of the knights in the middle ages. 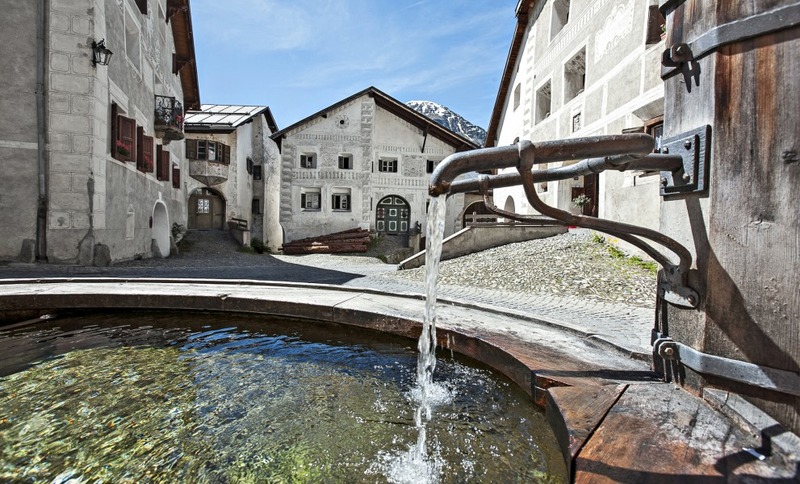 As we get back to Scuol you will ride through the old parts of the town and have a chance to stop in the village, well known for its health promoting thermal waters. Don’t hesitate and drink lots of it – it’s good for you. The group will arrive back at San Jon in the early evening and you will enjoy your last evening together with the group of people who – I am sure have become your friends by now. Again, enjoy some more of that nice Swiss food – and drink of course. *Exchange rates valid November 2018. Pricing subject to change depending on currency fluctuations. Exact pricing will be confirmed at time of booking.